The best iced coffee you’ve ever had. I have no doubt that those of you who have visited the Culiniste HQ in person can vouch for our passion for great coffee. We’ve often had the urge to start our own roasting facility – but that’s a story for another time. 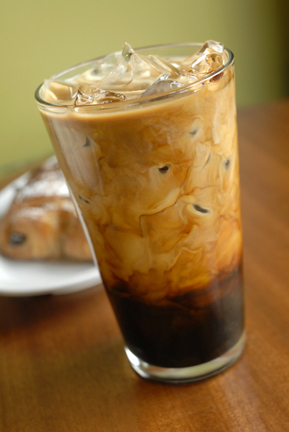 Warm summer days call for refreshing iced coffee – and cold brewing is our method of choice for smooth, robust flavour. You don’t need any fancy equipment: with a large pitcher and some time on your hands, you’re a couple easy steps away from a rich coffee concentrate that you can dilute with water, ice, or even a little booze. Place 1.75 cups of coarsely ground coffee in a 2-liter pitcher, add 3.5 cups of cold water, and stir to combine. Let steep at room temperature overnight (12-24 hours). Line a fine-mesh strainer with a standard coffee filter and strain coffee into a clean pitcher or mason jars. Refrigerate until chilled (keep in an airtight container for up to 5 days in the fridge). Enjoy this coffee concentrate with equal portions of milk or water. To sweeten, reach for some simple syrup, sugar, or agave nectar. Why not invite a few friends over, and treat them to the best iced coffee they’ve ever had?